Reminder - I have a special giveaway for August at this link. 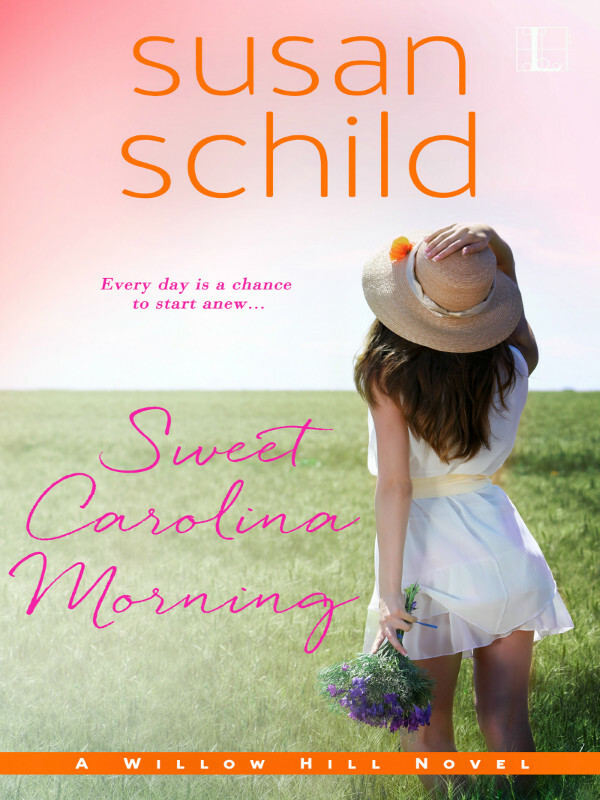 Life down South just got a whole lot sweeter in Susan Schild’s new novel about a woman whose happily-ever-after is about to begin…whether she’s ready for it or not. Finally, just shy of forty years old, Linny Taylor is living the life of her dreams in her charming hometown of Willow Hill, North Carolina. 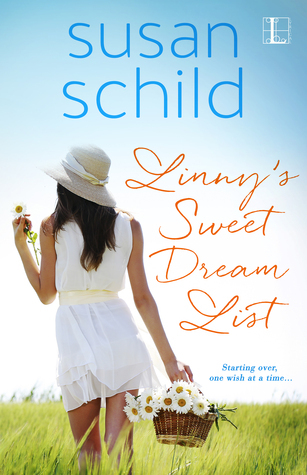 The past few years have been anything but a fairy tale: Left broke by her con man late-husband, Linny has struggled to rebuild her life from scratch. Then she met Jack Avery, the town’s much-adored veterinarian. And she’s marrying him. Though it was February, the galley kitchen at her future husband’s old farmhouse was steamy and hot, but Linny hardly noticed. Peering at the pages on the counter, she pushed back up her nose the reading glasses she'd had to borrow from Jack and double-checked to make sure she’d not left out any key ingredients. Why had she printed the recipe in ten-point font? Blowing back a stray lock of hair, she turned on the oven light and peeked inside. The neat rows of crusted chicken breasts were browning nicely in their casserole dish home. The side dishes—creamy-looking mac and cheese and green bean casserole topped with onion rings—were both bubbling gently. She breathed in cooking smells and was transported back to Sunday suppers at the farm when Nana and Paw-Paw were still alive. Sighing, she felt a wash of safety, contentment, belonging. Those were just the feelings she wanted to infuse in this new little family. Sliding into the chair, Linny admired the old kitchen table and touched the swirls of the tiger oak. It felt warm, solid. How many other families had sat around it and shared their lives over meals? She pictured her and her two men gathered around like in a scene from the Hallmark Channel, talking and laughing about their day. Jack and Neal would lavishly compliment her on her cooking, she’d blush, wave them off, and act as though it was no big deal. “I just threw the meal together,” she’d trill. Trouble was, it was a big deal, and not just because Linny was just learning to cook. She rubbed her chin and thought about it. This morning, Jack had sat his son down after they’d cleaned up from their pancake breakfast and told him that he and Linny were marrying in the summer. Linny had just sat beside Jack and let him do the talking but felt a stab of sadness as she saw Neal’s face fall. Forlorn. He looked forlorn. When he asked in a trembling voice, “So, you and Mom aren’t ever getting back together?” she thought her heart might break. He still held out hope for his family to be whole again, the way it used to be. Never mind that Neal’s mother, Vera, had already remarried the year before. Though Linny and Jack had been dating officially since October, she’d only just started spending a lot of time with the two of them. Jack hadn’t wanted to introduce her to his son until they knew they were serious, so Linny was only just getting to know the young man. Linny got a nervous flip in her stomach when she thought about becoming a stepmother. She’d gone thirty-eight years without children, and in a few short months, she’d be slipping into this new role without even a course or certificate. Linny got up and made herself a mug of Chamomile tea. Calming, the label said. She sat back down and blew on the tea to cool it and tried to quell the thrum of the squadron of butterflies that was revving up in the pit of her stomach. Staring out the window, she thought of the other scenarios she’d been imagining, in living color and the minutest detail. If she messed up in this new job, he’d be that troubled teen with the shaved head who sold pot and lived in their basement after he dropped out of school in tenth grade. Neal would end up being the inebriated driver of a speeding car full of kids who drove them into a tree after leaving an unchaperoned party. Her heart banged as she tried to obliterate the image she’d seen in this morning’s News and Clarion -the mangled wreckage of a barely recognizable car driven by a teen going the wrong way on I-40. He’d killed himself and badly injured a whole vanload of kids on the way home late from a church youth group retreat. Pulling out her phone, she scrolled through her emails as the good smells wafted from the oven and felt her shoulders relax as she reread Mary Catherine's note. Nice to have a best friend who practiced family law. You asked for advice on your new parenting gig. Remember, a lot of divorced couples and blended families don’t talk civilly and don't act in the best interests of children. In my practice, we serve more of the send-the-kids-home-dirty and talk-trash-about-the-stepmother crowd. What not to do may be more useful than what to do. Another disclaimer: I’m no expert on teenage boys just because I had one. Remember just a few months back, my nineteen-year-old almost got a DUI on a bike. Boys are knuckleheads between the ages of eleven and twenty-four. Your nerves will fray no matter how hard you try to be a good mother—or, harder yet, stepmother—but I will tell you what I know. Meet me for a quick breakfast 7:00 a.m. Wednesday at Jumpin’ Joe’s Bean House? Blowing out a sigh of relief, Linny replied, Perfect. She let herself sink back into the chair for a moment. Thank goodness for Mary Catherine. Glancing at the clock, she rose and fretted as she checked the timer. Last weekend’s cookout at her place had been a bust. Neal had picked at his food, claiming he “'just wasn’t hungry.”' What American boy didn’t like grilled hamburgers and French fries made from scratch—from the actual potato? Could it be that he didn’t like her? She tried to dismiss the thought. How could he not like her when she was already so fond of him? He was whip smart, mostly well mannered, sensitive, and had an offbeat sense of humor that would catch her when she wasn’t expecting it and make her burst out laughing. Tonight would be different, she decided, setting flatware firmly at the three places at the table. 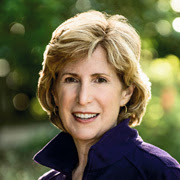 After grilling Jack extensively about his son’s food likes and dislikes, she’d scoured the internet for the perfect menu. If she was finally going to embark on this mother thing, she sure as heck was going to excel at it. She’d do the whole shebang: soccer weekends, volunteering on field trips, deep talks about life. She’d waited long enough for this little family, and now that she’d got it, dang it, she was going to do it right. The water glasses spilled over as she set them too firmly down on the table. She’d just finished putting on a slick of lip gloss as they clattered into the room, bringing with them a wash of fresh February air. Her heart still skipped a beat when Jack gave her a boyish grin, and she longed for a kiss, but there was sweet-faced Neal, right on his heels. She felt a pang of regret. She and Jack had talked about it and agreed on the rule of no smooching or PDAs in front of the boy right on the brink of becoming a man. She felt wistful. Leaning against the stove, she smiled as she took them in, amazed at how much commotion the two could make just walking into a room, with their thudding boots, unzippering coats, biceps punching, and easy laughter. Linny raked back her hair with her fingers. Man, her too quiet life had sure changed. Sounds good.....thanks for letting us know about the contest. Always great to hear about new to me authors. I'vek found many new Authors here and I'm looking forward to reading Sweet Carolina Morning and the other books in this series. stories set in the Carolina's always catch my eye! Sounds good; thanks for the giveaway. Happy 226th Birthday, United States Coast Guard!